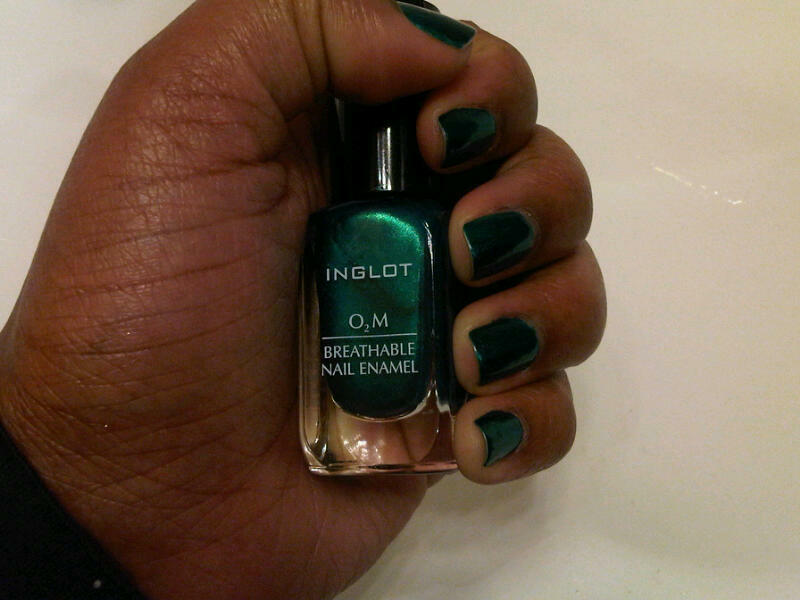 I am usually not a fan of metallic polishes; however, Inglot has the polish that I wore in my last NOTW (see picture below), as well as their #644 02M Breathable Nail Enamel, which is my current NOTW. 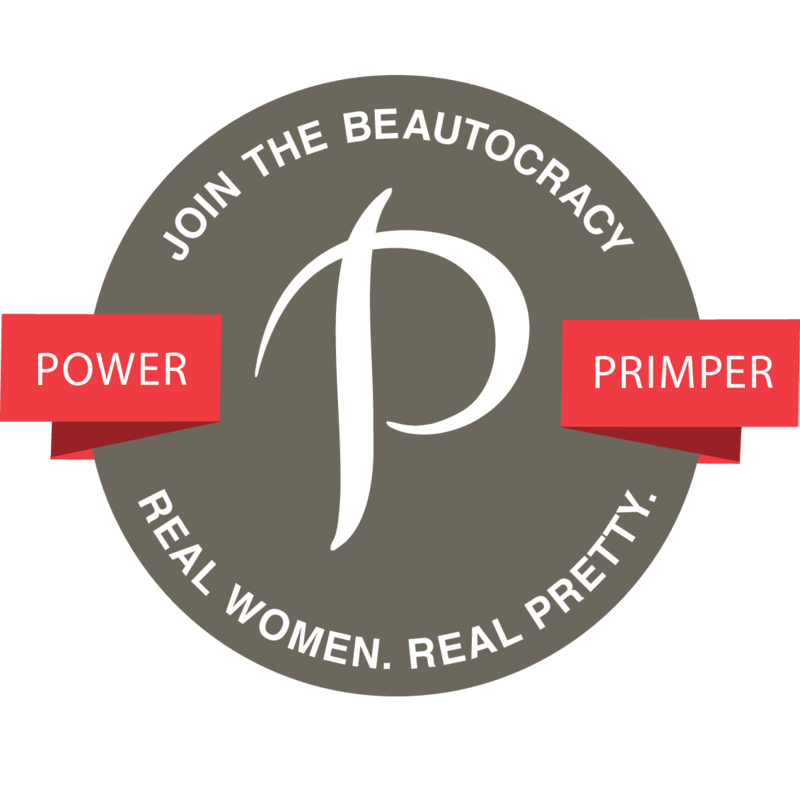 Note: I actually polished my nails with #644 last Friday, but I’m just now getting around to doing this post. The nail polish still looks good after 4 days. 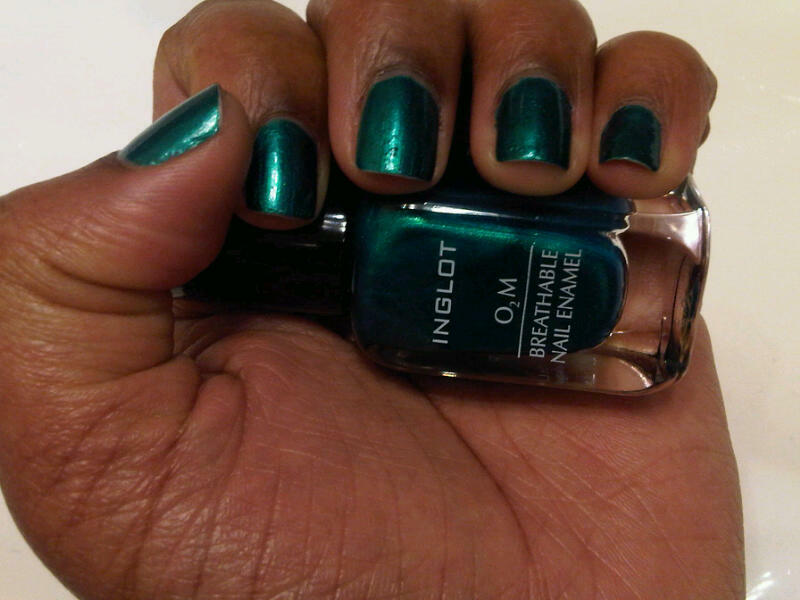 I would describe this one as a metallic, dark, emerald green with a touch of blue. It is similar in color to Sally Hansen Insta-Dri in 22 Jumpin’ Jade, except the finish is better (IMO). Overall, I like the color. I wonder how my pink China Glaze Crackle Glaze will look over it?